C) A chandelier of course! E) One of those brilliant new coloured light shades for the wall. A) Plain roof lighting, no fancy lamps or wall shades for me. D) A French clock, a sofa with some lace cushions and a furry throw, a fireplace and some dark wood furniture. B) A couch, a bookshelf or two, lots of greenery and some boho cushions and prints on the wall. 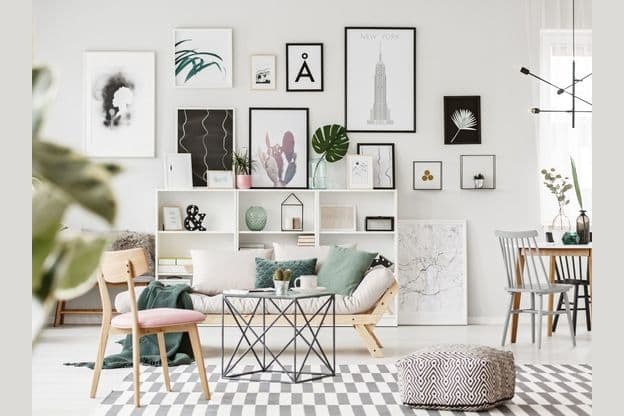 E) A bright feature wall in teal or purple, some art on the walls and some brightly coloured cushions to match the feature wall and the rug, as well as some general knick knacks. If you answered mostly A - You're a minimalist! Minimalist - You're a minimalist! Your style is very cut back, and your motto is 'less is more' . You're likely to only have a couple of key pieces of furniture in your house, and aren't much for decoration. You're all about the clean lines and the smooth edges, without overdoing it with embellishments like these linen throws http://www.placeofours.com/collections/throws/products/linen-throw-hannah. If you answered mostly D - You're vintage! Ever wondered the type of personality your home reflect of you? We're here to solve your problems with this home décor personality quiz! Answer these 10 questions and you can find out which style is most like you, and the types of décor items you should be buying.